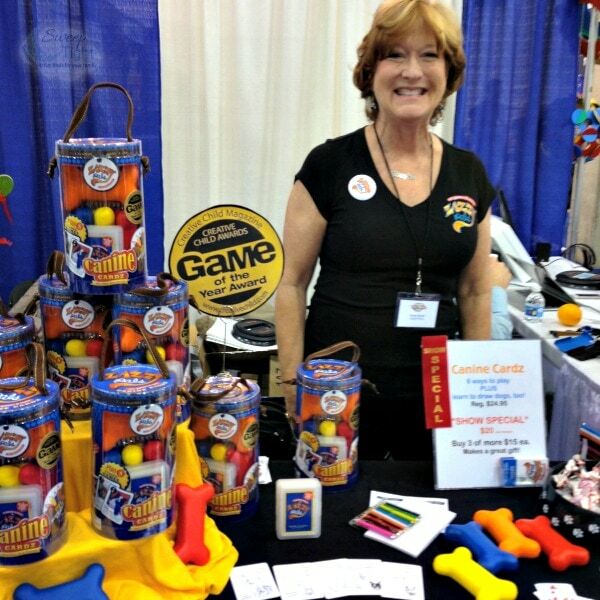 We recently attended the annual Chicago Toy and Game Fair. As a Chicago blogger, I received a media pass and free tickets to the event. All opinions in this post are my own. I brought my best friend since preschool and her daughter, Mia, along for the fun. 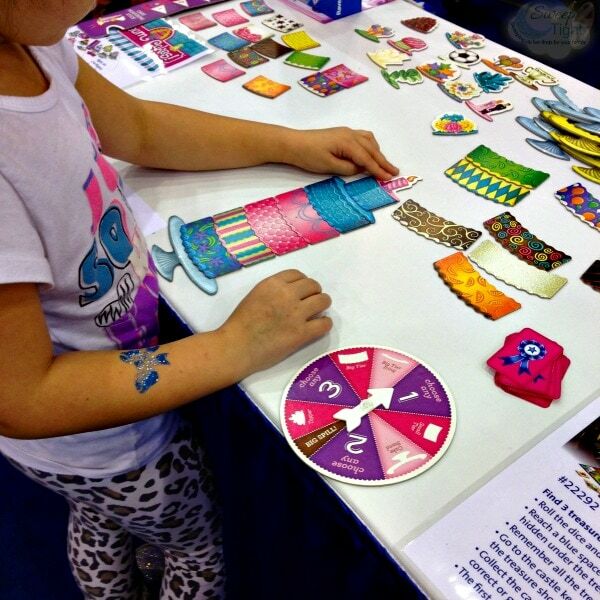 The Chicago Toy and Game Fair takes place at Navy Pier. It’s usually in November, which is the perfect time to learn about new toys. Just in time for the holidays, you can get hands-on experience with the hottest new games and toys. After the media breakfast, we were unleashed into the fair before it was officially open to the public. This is awesome because it tends to get busy. A T-Rex greeted us. Yes, a seriously life-like T-Rex making scary sounds and all. He was a little frightening, but super awesome. I wish I would have gotten a better video of him. Mia was eager to explore, so we let her lead the way. Her first stop was to fuel up on Pucker Powder. 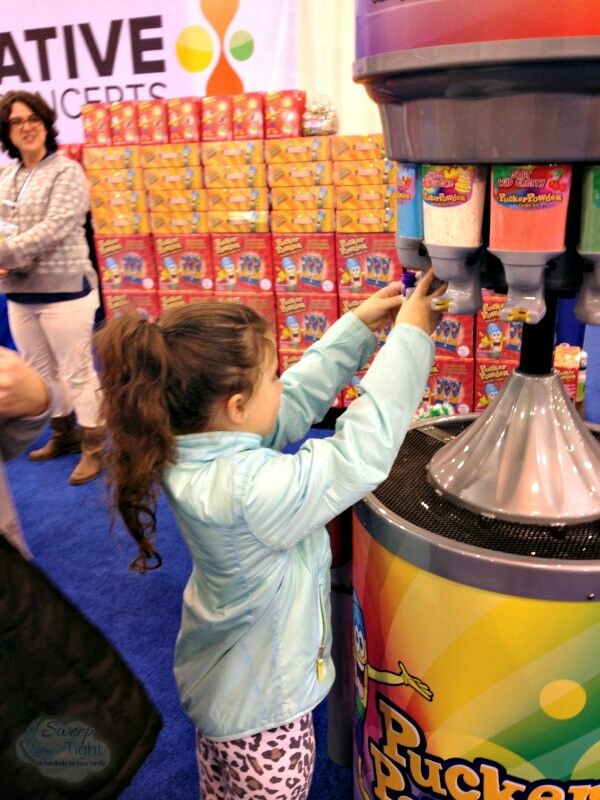 She was able to fill her tube with the many flavors of powder and create candy art. She liked it so much she swung back a second time for a refill. The huge Game Truck caught my eye soon after. My nephew had the most epic birthday party ever with Game Truck, so we had to go see what they were up to. Turns out, they have only gotten more awesome. They now offer Bumperz for rent. 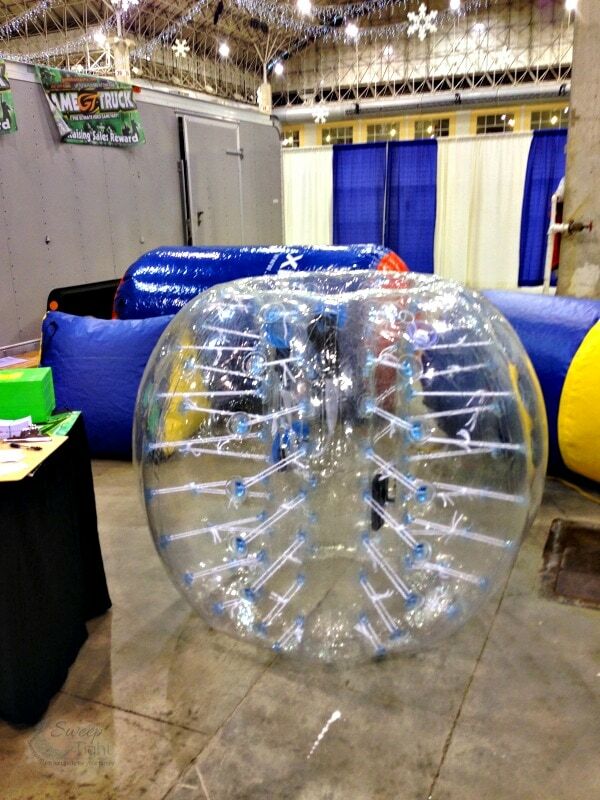 Bumperz are the human-sized bubble balls where you can plow into each other while wearing them. They look beyond hilarious and like the most fun ever. A party with them is like a guaranteed viral YouTube video waiting to happen! 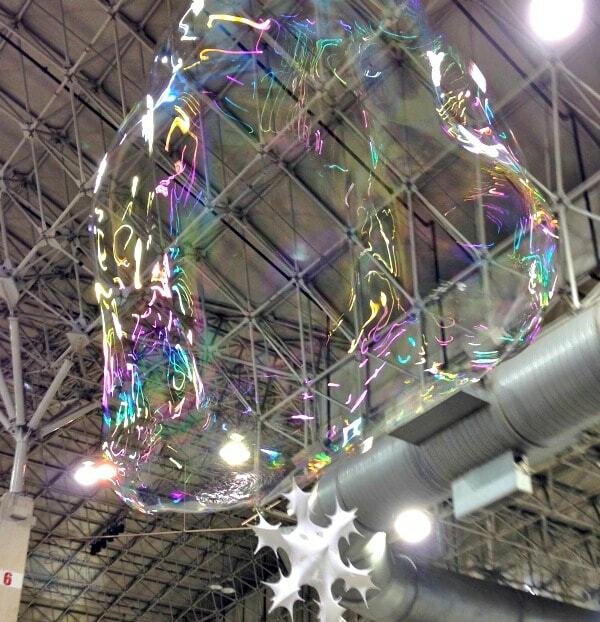 Speaking of bubbles, Ben’s Bubble Show was there making humungous ones. He was putting people IN bubbles and making ones about as big as a baby elephant. His bubble tricks were very impressive. I didn’t even know so much could be done with bubbles. He’s available for parties, and I hope to see him again soon! We had to stop to get Mia tatted up quickly. 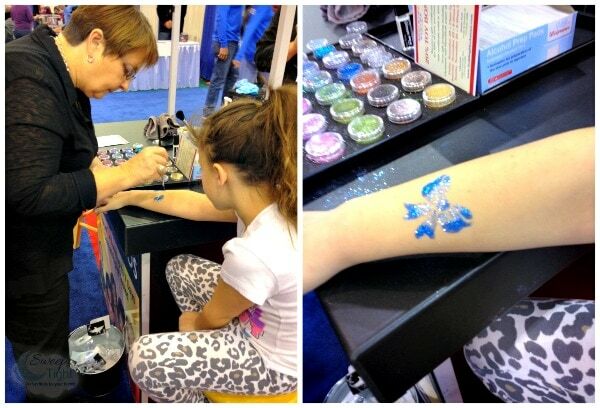 Glitter tattoos are all the rage right now. There were several vendors doing them. Mia’s turned out really pretty and lasted throughout the whole show without smudging or leaving a glittery trail. Canine Cardz caught my eye right away. Of course, anything with pets always does! This is a card game for the whole family to enjoy. Based on the true stories of real dogs, the game can be played eight different ways. It helps to reinforce skills in reading, matching, and much more. All while having a blast! 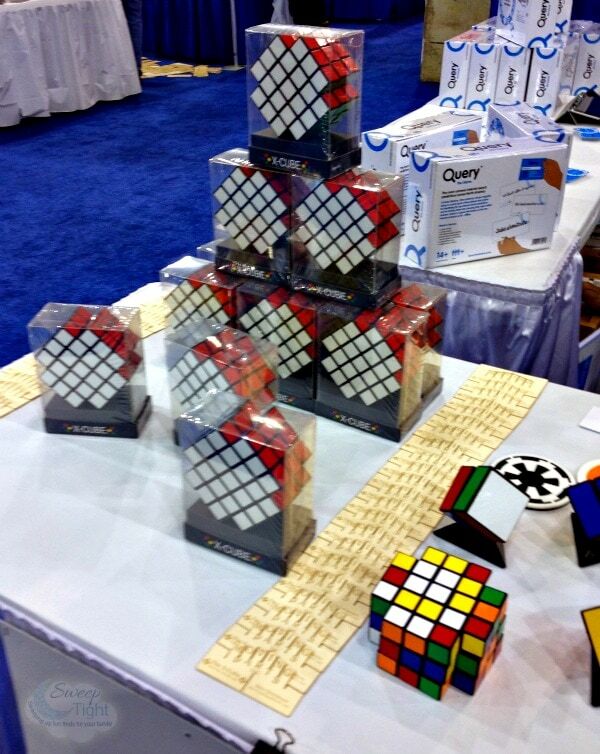 Perhaps you’ve conquered the Rubik’s Cube and were looking for a new challenge. Welcome the X-Cube by the brilliant Dane Christianson. I was both intrigued and intimidated by this young man’s intelligence and wit. And, there was no way in heck I was going to embarrass myself by even attempting to solve the X-Cube! 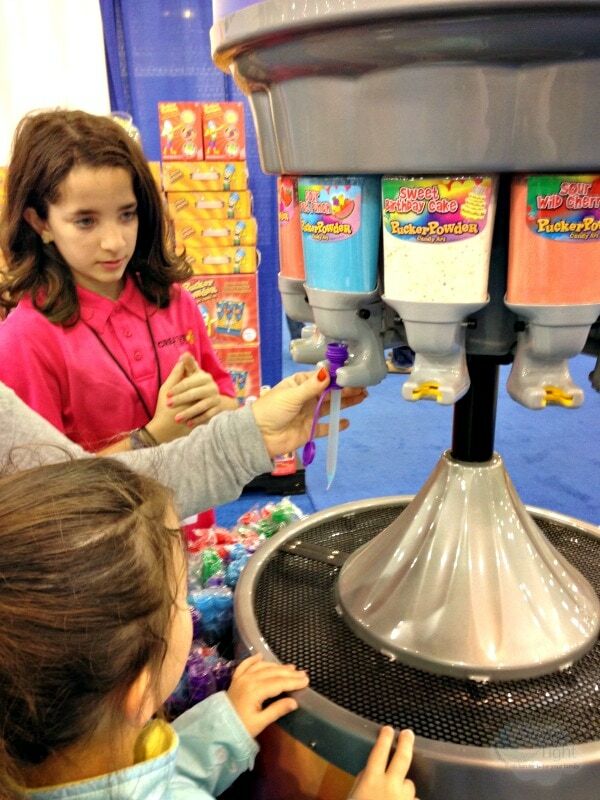 One of my favorite parts about the Chicago Toy and Game fair is seeing the young inventors. So many young children are there passionately sharing their creations. You can see how excited they are to show off their game or invention. It’s truly impressive and restores my faith in our youth! 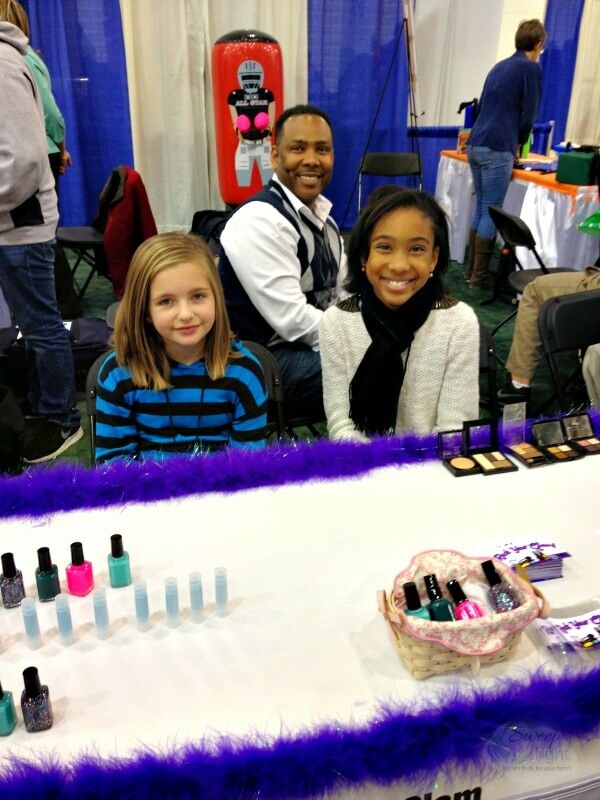 It’s refreshing to see little entrepreneurs and creators in action. These little beauties just lit up while talking about their Rock Your Glam cosmetics. Mia enjoyed many hands-on games and fun opportunities. 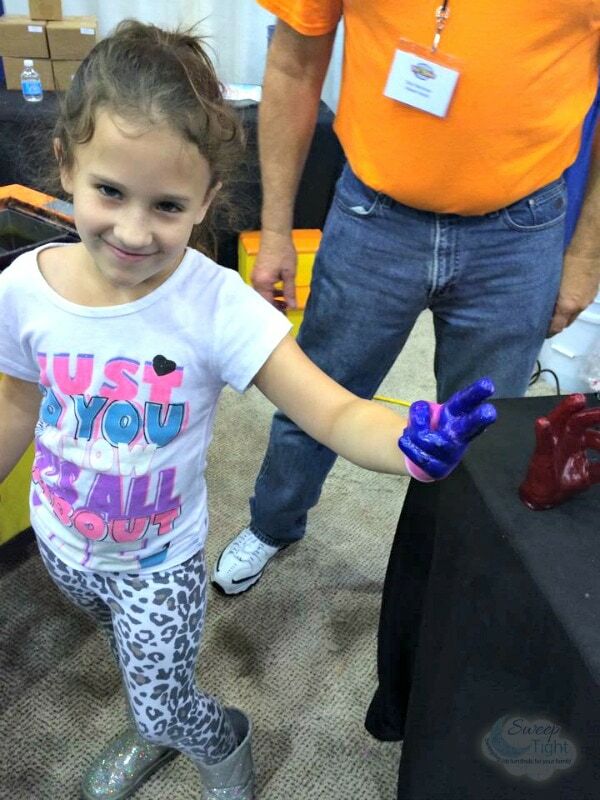 The wax hand was probably one of the main highlights. Preserving your favorite hand signal in wax is great fun. Mia had this peace sign made as a gift for her brother. The process that Waxed Hands uses hardens the wax enough so it won’t easily bend or dent. Very cool experience. As you can see, we got to see a lot at the Chicago Toy and Game Fair and I barely scratched the surface. Mia went home with a bunch of goodies. 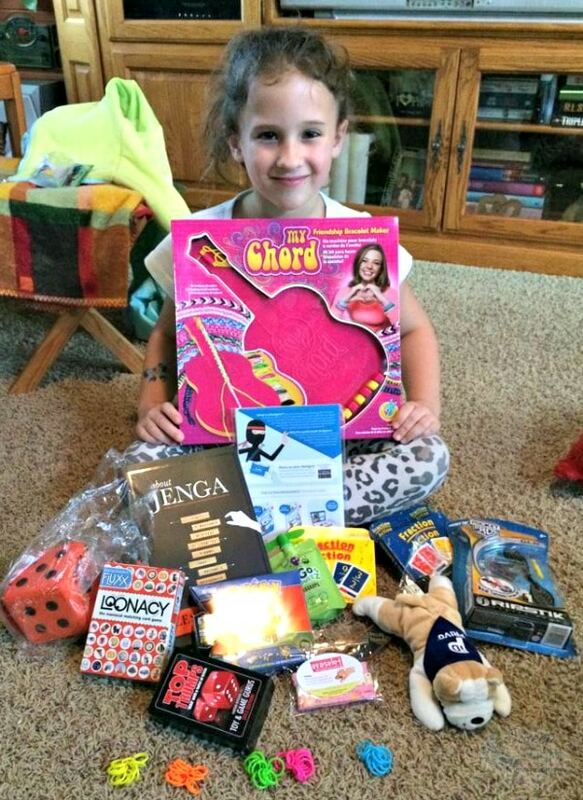 Her absolute favorite item was included, too – My Chord, Friendship Bracelet Maker. 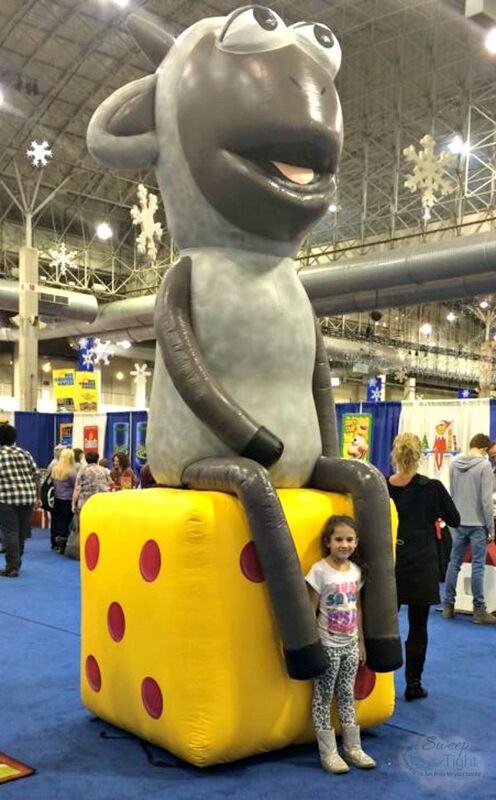 If you have the opportunity, head to the Chicago Toy and Game Fair the next time it comes around! This looks like a fun place to be, if I were in Chicago I would definitely attend. Thank you for sharing this post. These pictures are great. There are just so many cool toys and gadgets here. Oh, the Bubble was huge. I always liked the Rubics Cube. I had not heard of X-Cube before now. I’m sure that’s going to be a huge hit. Wow, look at all the awesome toys they featured there. Sounds like an amazing event. Would you believe I drove all the way to Chicago from NC a few years ago to attend this? The drive was poo, but the event was super fun! I LOVE games so much! How fun! I’d love to have seen all the cool stuff they had there! Awesome. My two oldest kids would have loved this! I’m not sure I could have pried my son away from the life like T-Rex. I have always wanted to visit a toy fair. Seems like a great place to connect, and see the most cool toys. That looks like so much fun! I loved the giant bubble and the wax hand. It looks like a toy lover’s paradise. And I agree with you. It’s fun to see the young vendors. That looks like such a fun and interesting day. I especially like the bubble show! Oh wow that is so neat! That would be a kid’s dream for sure! That pucker looks fun to create your own flavors combo! Wow, looks like a ton of fun. I’d love to take my kids to a toy and game fair. Adding this adventure to our family’s bucket list. I wanted to go to this so badly, but just could not work it out. It looks like it was a lot of fun for all of you! Wow, that would be such a fun time. I think I’d enjoy it just as much as the kids! This place looks like sooo much fun! My son who go nuts in here. The sour pucker straws must be good! I really want to have one of those Bumperz for my daughter’s part this summer. I need to find one!! This looks like a great event to go to. I love all the great toys. That is one huge bubble. My kids would love to go to this fair. It looks like the kids had a great time. So many great toys to look at. I am so jealous. I would have loved to attend that event with my youngest son. His vocabulary has already shrunk down to I want being the only words he know saltily. Fun fun fun! I bet that it was such a great time to see all the cool toys out right now. Those bubbles are impressive. How fun! My little girl got one of those glitter tattoos at the children’s museum the other day, I was pretty impressed with them! The monkey on the dice is so cute, it looks like a very fun fair! This looks like such a great time, what fun it must be to experience a toy and game fair. My kids would have been in heaven! Love this selection of toys and items you saw and experienced. Appreciate you sharing it with us. This show looks like a blast! I love the Rubix cube! OMG, looks like so much fun. My daughters would have a ball!